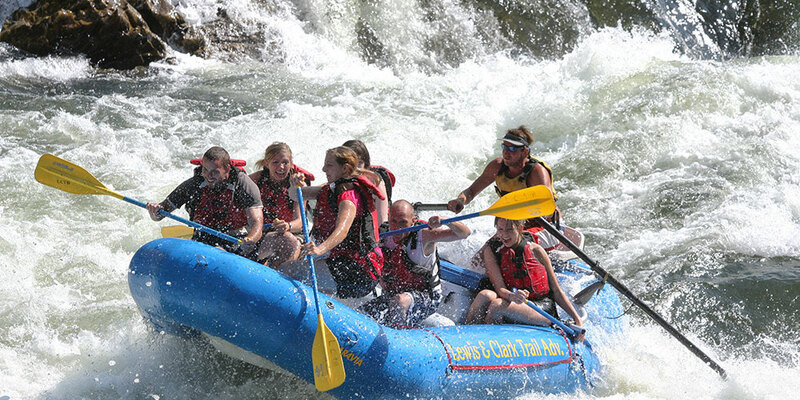 Lewis & Clark Trail Adventures has been the leader in connecting travelers to the rivers of the historic expedition of Lewis & Clark from whitewater rafting near Missoula, Montana and Salmon, Idaho to the meandering current of the Upper Missouri River. We offer active adventures with a personal touch. We take pride in the fact that many of our guests have been with us before and return for new adventures. Whatever your adventure: paddling the continuous big whitewater rafting the Lochsa River, navigating the free-flowing friendly whitewater of the Salmon River, introducing your family to their first whitewater rafting trips down the Alberton Gorge, or the beauty and history of Canoeing the Missouri River White Cliffs, you will remember meals prepared with care, time shared with old friends and new and the rejuvenating feeling that only comes from spending a day or a week on the river. Meals prepared on the trips is more than merely sustenance. They are prepared fresh, hearty & healthy with diversity in flavor. LCTA takes pride in their menu, meals should be something you look forward to and expect more than your average camp cuisine. 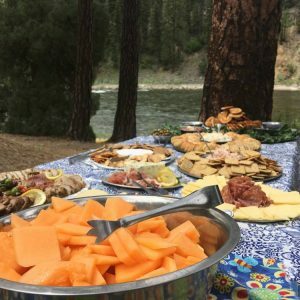 Start your day with a good cup of coffee and a hearty breakfast like French toast & thick sliced bacon, fresh fruit & juice, lunch is welcome rest with sandwiches made with quality deli meats & cheese, lots of fresh veggies & snacks, dinner might be marinated & grilled flank steaks, or dutch oven lasagna, colorful salad, bread from local bakeries. Beer and wine, in moderation, is provided with appetizers & dinner. Water, sodas or Gatorade is also provided. We are happy to accommodate various dietary needs so let us know your requests.